Drac’s pack is back for an all-new monster comedy-adventure in Sony Pictures Animation’s Hotel Transylvania 2 (in cinemas 16th October, with previews 10th and 11th October)! Dracula’s rigid monster-only hotel policy has finally relaxed, opening up its doors to human guests. But behind closed coffins, Drac is worried that his adorable half-human, half-vampire grandson, Dennis, isn’t showing signs of being a vampire. So while Mavis is busy visiting her human in-laws with Johnny – and in for a major cultural shock of her own – “Vampa” Drac enlists his friends Frank, Murray, Wayne and Griffin to put Dennis through a “monster-in-training” boot camp. 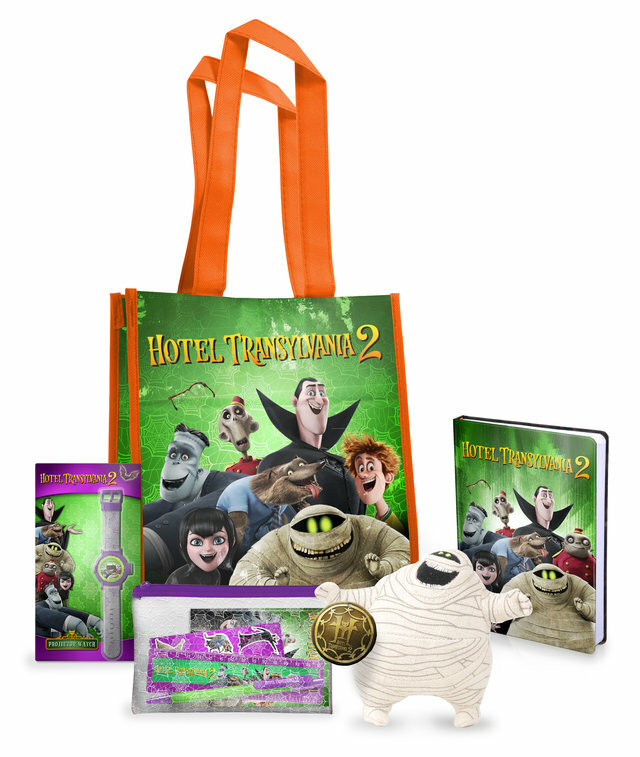 To be in with a chance of winning one of 3 Hotel Transylvania 2 merchandise goody bags, just answer the question below. Hotel Transylvania 2 is released on 16th October, with previews 10th and 11th October.